The goal of life for every Christian should be the kingdom of God. The gospel is the good news of the kingdom of God. Tragically, we have settled for what Dallas Willard calls “the gospel of sin management,” a gospel which is something far less than the gospel of the kingdom. John Cassian was born in the middle of the fourth century in what is present day Romania, and as a young man he became a monk in Bethlehem. From there he traveled to Egypt, where he lived for many years and apprenticed himself to the ascetic masters of the Egyptian desert. Eventually he returned to the West and settled in southern France near Marseilles, where he founded two monasteries. There he drew on what he had learned in Egypt and his own experience to compose two works that have become classics, The Institutes, a kind of introduction to the religious life, and The Conferences, a fuller and more mature exposition offering richer fare for the advanced. The Conferences takes the form of extended interviews with individual monks who are named and whose words are sometimes prefaced by personal anecdotes. The third [foundation of true friendship] is that each person knows that all things–even those he values as useful and necessary–are to be treated as secondary to the value of love and peace. The fourth is that each person believes from the bottom of his heart that he must never become angry for any cause, whether just or unjust. To live in a true friendship you must consider everything as secondary to the “value of love.” While it is easy to write these words it is quite nearly impossible to live them. 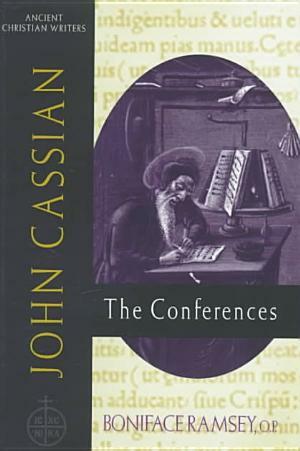 Note how John Cassian says this and recognize that he says this from a life lived within a monastic community where men shared a common life together in close proximity: “[A]ll things–even those he values as useful and necessary–are to be treated as secondary . . .” You may value something deeply, and even believe the other person should value it just as much, and you see what you see, as useful and necessary, but when all is said and done what really matters is love. Everything else is secondary! The next foundation for true friendship is stated by Cassian in this way: “[E]ach person believes from the bottom of his heart that he must never become angry for any cause, whether just or unjust.” Anger will kill friendship, every time and in all circumstances. No real friendship can survive it. Anger never works the grace and peace of God. Fools show their anger at once, but the prudent ignore an insult (Proverbs 12:16). One who is slow to anger is better than the mighty, and one whose temper is controlled than one who captures a city (Proverbs 16:32). Those with good sense are slow to anger, and it is their glory to overlook an offense (Proverbs 19:11). A fool gives full vent to anger, but the wise quietly holds it back (Proverbs 29:11). Make no friends with those given to anger, and do not associate with hotheads (Proverbs 22:24). For as pressing milk produces curds, and pressing the nose produces blood, so pressing anger produces strife (Proverbs 30:33). No deep and growing relationship can handle anger and hotheaded temper tantrums. Whether you believe you are right or not, and even if you think your cause is just, you cannot keep a friendship if anger prevails between you and the other person. John, I agree with what you say about anger, but I fear it can be misunderstood. Anger is an unavoidable part of our human experience. It needs to be recognized for what it is and processed in the presence of God, as the psalmists do. One of the biggest problems that I’ve experienced is that people treat anger by suppressing its outward symptoms but not understanding or dealing with the interpersonal dynamics which caused the anger in the first place. What you end up with is a community of passive aggressives rather than holy (whole, healthy) people who can relate to one another as friends. Yes, anger is dangerous and destructive. But I’ve seen many examples of how preaching against anger by quoting the verses you quoted can make matters worse, not better. What many of us needed and never got was a framework and models for recognizing and processing our anger in the presence of Christ and addressing the source so that it deepens our love and grace and strengthens community. Yes, anger is danger. But danger is opportunity. Most of the day to day human anger comes from human standard, human comparison and self-righteousness. We need great wisdom and maturity to process our anger in the presence of God. Yes. And human anger is a very natural, God-given emotional and physiological response by a person who is hurt by other persons. God has anger too. Our anger is a reflection, albeit a dim one, of God’s anger which flows from his love. This is one of the great mysteries of God which I want to understand better. Processing our anger in the presence of God can mean pouring our hurt feeling before God, encountering God, accepting his goodness and sovereignty and having God’s perspective. Just suppressing human anger inside may not good for emotional health. Anger comes out of us when we found out our trust was abuse and take advantage of for the only purpose to advance a personal agenda. We feel violated in our most inner being. What if such anger is the flip side of love betrayed and rejected? Our Father may be angry for a season but it is meant to bring us back into the circle and experience of his love. His anger is not a “flare up” or “suppressed feeling” but a response that leads to restoration. I think this answers a great deal of what you are rightly concerned about Joseph L Schafer. Anyone, please respond. Yes, I think God’s righteous anger is something like what you described, the flipside of love. And our anger (the righteous parts of it) has that feature as well. If I am angry at someone, I’ve got to purify that anger in the presence of God to remove the unrighteous parts. But the righteous part that remains does eventually need to be expressed somehow. That has to be done carefully, at the right time and in the right way, not for the purpose of retribution but for the sake of healing and reconciliation. But it has to be done, otherwise the friendship and community cannot survive. John, this series is highly intriguing to me. I would tend to echo some of what Joe pointed out. But I think there are some deeper issues involved here. I think you make a great concluding point though: “…you cannot keep a friendship if anger prevails between you and the other person.” The word “prevails” is important. The bible warns against prevailing anger, as you point out correctly. I would agree that prevailing anger is a sin. However, I see no mention in the bible that we can never be angry. I think the Psalms testify that anger is a normal human emotion that should not be cut out. So I would articulate it this way: Anger is necessary and healthy for human beings to express, but prevailing anger is harmful. Great quote Ben, I would agree as long as that anger is gotten rid of before the sun goes down 🙂 I believe we can be angry, but it is not healthy to go to bed angry as Ephesians 4:26 says. So I’m not actually convinced that anger is a sin but rather prolonged anger or anger that opens the door to sin certainly is wrong. Yes. Luther’s polemic against the Jews–though very mildly understandable–is nonetheless reprehensible and irresponsible, damaging and destructive. But anger–subject to the Spirit by God’s mercy–is inspiring and motivational and gets you out of bed in the morning with zest and vigor and a lively bounce in your steps! Luther was just a train wreck of frustration. To thrive on anger is toxic as hell! I have lived out my life as an athlete and coach. Still doing both. I have been motivated by anger and motivated by love. They are distinctly different on how they motivate you. Spent much personal time investigating the phenomena of motivation even part of my psych undergrad was Sport;s Psychology. Anger should be used to initiate a move, but not to be used as any kind of guide. Luther’s writing makes it very clear to me. My own experiences training for events motivated by anger and love. Love is by far the engine that will last much longer and has much more positive purpose. Love sustains a journey lie nothing else. I fully agree with John. Only be angry for a moment. As soon as anger is identified, you should be on your knees to temper and guide your spirit with love. Anger doesn’t make me bounce out of bed with zest and vigor. It makes me feel truly rotten. Those who think anger feeds their desire and liveliness, must have never been inspired by deep love and passion. There is no comparison. Sorry for trying to be cheeky. Though anger is surely unavoidable in life (even among spouses who truly love each other), I am not advocating for anger as the principle ongoing driving force of life, and especially not in the morning! But perhaps for some people who lack motivation or ambition, some anger (together with unconditional love and acceptance) might curdle their blood to do something, anything, instead of living life at the non-committal subhuman brain stem level of existence. I have had to be stirred by anger to get my passion motor going. It is vital to be in control, though. Most people are not good at that. Control is the currency for Spiritual Growth. It is the the best currency for muscular growth, as well. That was important connection for me to make to be a successful person in every way. Speaking for myself, I do get very angry (inwardly) especially at what I perceive to be injustice and bad authoritarian abusive leadership practices in the church. It stirs me up and fires me up. But I know that I cannot deal with this in uncontrolled rage and anger (which I obviously feel like doing!). Only when Christ by the Spirit softens and tenderizes my heart, will I begin to address what I am angry about. By God’s help alone, I may always do so with gentleness and respect. This is obviously easier said than done! Celia Câmara liked this on Facebook. Rance Darity liked this on Facebook.